When one thinks of the name "Top Gun", images of Tom Cruise screaming through the sky in an F-16 might come to mind. But here was a line from the 1986 blockbuster movie that rings true still today. It was said that being in Top Gun means you're the "best of the best". That is what founders of Top Gun Sports, Robin Phillips and Donnie Broome, are striving to achieve...and they are getting there fast. Broome is certainly not a newcomer to baseball, even though Top Gun is a relatively new organization in comparison to other like groups. He began coaching his younger brother in 1975. Twenty years later, he would win a National Championship with his 18u team in Panama City, Florida. "That team produced seven players who went on to sign professional contracts, and several others received college scholarships, " said Broome. In fact, two time All-Star Second Baseman for the Baltimore Orioles, Brian Roberts, was a product of Broome's program. Some years before that, 1981 to be exact, Broome and Phillips also began hosting youth baseball and softball events in addition to their coaching duties. Robin continues today coaching middle school girls fast pitch softball teams and has coached at Concord and Northwest Cabarrus. Broome realized he was organizing over 100 tournaments a year, and through the years he has worked for a number of the national brands. Phillips, for her part, has been recognized as one of the top softball tournament organizers in the country. She has also directed several World Series and National Championships tournaments since 2000. Around the late 90's, the pair formed HYSA (Hartsell Youth Sports Association), named for Broome's former high school/middle school, turned into athletic facilities, which he raised funds to restore. Broome and Phillips began hosting a few tournaments under that banner a couple of times per year. They hosted a World Series Tournament each summer and offered Championship Rings to each age-division champ, to its players. It didn't take long for the annual event to gain traction. A few years later, HYSA became Play Top Gun Sports. Already this small, yet up and coming youth sports organization is rivaling major groups, in the South Atlantic States. Travis Dancy, Sports Marketing Manager for Visit Lake Norman (NC) said that Top Gun is, "Very competitive and certainly one of the organizations at the top of the list. Based in Concord, NC, Top Gun is now hosting over 600 tournaments per year, in North Carolina, South Carolina, Florida, Georgia, Tennessee, West Virginia, Virginia, and New York. But what set them apart, say Broome, is service and giving more to the franchisees, like allowing them to keep entry fees, gate receipts, and concession proceeds while only requiring a small franchise fee to Top Gun. "Quite simply, we can provide more to our teams with more 'bells and whistles' without out the cost of those other organizations)," he said. This business model works. Compared to other youth sports organizations, this strategy is almost unheard of and is being embraced by tournament organizers all over the east coast. "Top Gun Sports is a leader in travel Baseball/Softball tournaments," said Joel Albert Dunn, Sport Complex past Director of Rocky Mount Sports Complex in Rocky Mount, NC. "Their success on the east coast is evidence that their customers appreciate their product and continue to return year after year. Their increase in teams each year shows their success and their ability to compete and lead the competition." Mike Anderson, Director of Sports for Visit Charlotte/Charlotte Regional Visitors Authority, agrees. " They are professionals in all definitions of the word. Their reputation in the baseball and the softball industry is positive and are known to run great tournaments." When Mr. Dunn of Rocky Mount mentioned the increase in Top Gun teams, he wasn't kidding. Top Gun boasted 457 teams in 2013 in their Baseball World Series, Numbers like this are placing Top Gun events as one of the largest tournaments in the country. "If it were not for Top Gun Tournaments, our Hotels would not realize the high occupancy during the tournaments, our restaurants would not be as full and our gas stations and retail would not see a boast in sales," said Martha Chambliss Lamm, the past Executive Director of Nash County (NC) Travel and Tourism. " Top Gun brings a significant Economic Impact to our Community. We not only welcome more Top Gun Tournaments, we try hard to encourage Top Gun to come to Rocky Mount often and extend the red carpet. Mr. Dancy echoed Lamm's remarks. "(Top Gun) means a tremendous amount as far as tourism impact for our towns. The hotel room nights and visitors spending generated from their tournaments certainly means a lot to our community," he said. In addition to Lamm and Dancy, Dunn added, "Top Gun tournaments are a great asset to the Rocky Mount area. The economic impact of Top Gun events is tremendous due to the out of town visitors that visit the complex with each event. Top Gun tournaments also help to introduce Rocky Mount to other areas of the state as a tournament destination." It's not just tournament organizers and tourism authorities who are flocking to Top Gun. Teams are taking notice as well. Broome and Phillips saw the need to stop "nickel and diming" teams through such charges as individual arm patches and inflated insurance costs. Instead, they wanted to make it easier for teams to be a part of these competitions without so much added cost-especially in an economy that has made things like sports tournaments cost-prohibitive. And, best of all, teams are seeing no loss in the level of competition coming to Top Gun events as opposed to other organizations' tournaments. Broome, stated that "Top Gun has now added a Division 3 to its program, with our growth we are now giving Top Gun tournament teams three divisional levels of play for it teams to compete in". They're also coming for the opportunity for the Free Paid Berths to our World Series and National Championship events, as well as those coveted championship rings they can win at events. It's something that we started that's unique," said Broome. " And teams love it! Of course at the end of day, it's about the boys and girls that are participating, Broome and Phillips primary focus is trying to ensure that, win or lose, each player and participant comes away with an experience that left a positive impact. "You're always going to have a team that comes in and doesn't win a single game the entire weekend," explained Phillips. "But we constantly ask ourselves did we do everything we could to make sure they had fun and would want to come back?" Lamm, as well as Sue Wilson , an administrative assistant with Nash County Travel and Tourism indicated, from the experience, the answer to Phillips's self-imposed question was a resounding "Yes!" " I have great memories of lots of young boys, in uniform, on the lawn at the Gateway Convention Center," she recalled. "They were throwing the ball to each other. It looked like an advertisement. There was a blue team here, a red team in a different area, the green team sitting talking to a coach, etc. They covered the entire lawn...what a wonderful site!" Lamm added that Broome and Phillips understands what it takes to grow an organization like theirs. "Donnie is fun! Robin is fun! They have realized we (the Visitors Bureau) were new to the 'ways of the sports world' and took time to explain the expectations of the players and families." she explained. "(He showed us) that by offering excellent service and extending Rocky Mount's "Southern Hospitality", we could create a fun experience for everyone attending." So what's next for Top Gun? Broome and Phillips do not have any illusions of going national just yet, but they do see Top Gun Sports continuing to expand up and down the eastern seaboard. Dunn certainly plans for his area to be a part of those future plans. 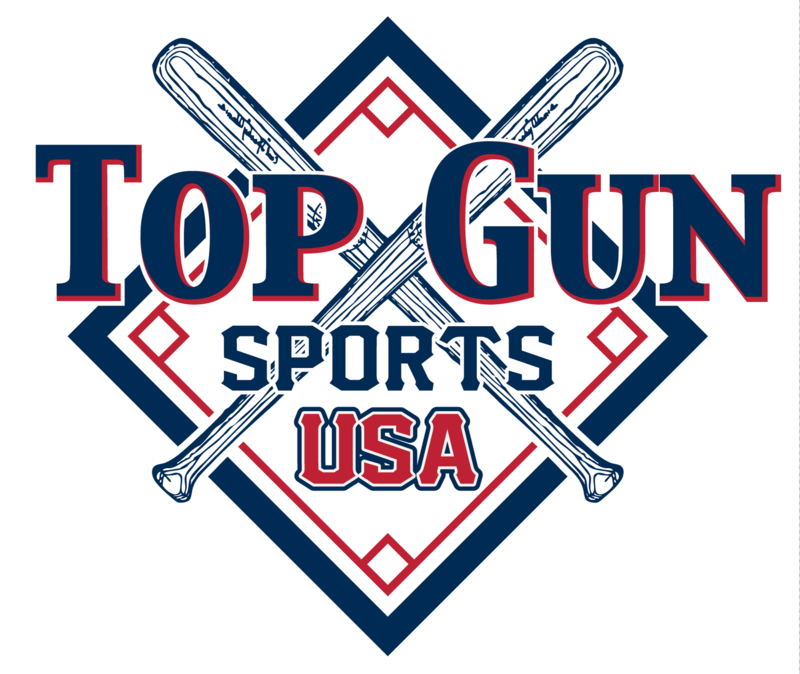 "We greatly value our partnership with Top Gun Sports. One of greatest priorities is to maintain that relationship and build bigger and better events for the Rocky Mount area and Top Gun Sports for the future." he said. There aren't a lot of certainties in baseball and softball. A game-winning homerun can fly foul right at the last second. An outfielder can lose and easy-out fly in the sun and cost his team the lead. And, in any given game, the underdog can beat the reigning champ. The latter of those seems to be what Top Gun Sports is doing. For them, the sky seems to be the limit and there's no doubt they are certainly Swinging for the Fences. Top Gun Sports is based out of Concord, NC. It is owned and operated by Donnie Broome and Robin Phillips. The company host youth baseball and softball sporting events up and down the eastern seaboard. Top Gun Sports is affiliated with Hartsell Athletic Association which is a non-profit athletic association dedicated to the promotion and development of youth sports. Through Hartsell Athletic, Top Gun is able to offer its teams the opportunity to be a subordinate of the Non-Profit which allows teams to solicit donations on a non-profit basis. The Hartsell Athletic Association is a volunteer youth baseball / softball program dedicated to the promotion and development of youth sports. The most outstanding fact about this organization is that it is made up of volunteers, people like yourself who believe that young people benefit in a number of ways from organized athletic experiences. This program has hosted many youth athletic tournaments through the years will all the profit going back into improving the program and facilities.